Book One of the scifi vampire saga Pact Arcanum. Warning: contains strong language and non-explicit depictions of gay sexuality. Los Angeles, 2040. When the terrorist known as Medusa threatens to kill millions with a stolen nuclear bomb, Nick Jameson makes a fateful decision. He reveals himself on global television as a Daywalker – a vampire with a soul. To save Los Angeles, Nick exposes not only his own gifts but three separate cultures based on millennia-old magic. The three metahuman races exist in careful balance, working to maintain a fragile peace. Nick and his fellow Daywalkers successfully master their natural bloodlust. The Sentinels, armed with both magic and steel, repress their warlike instincts. And even some Nightwalkers, normally their natural enemies, have deserted the Court of Shadows to join the triple alliance. Nick Jameson is deeply involved with two such Nightwalkers – handsome Lorcan and powerful Rory. Both men love Nick. But neither can protect the new Ambassador to Humanity from the events he has set in motion. Jeremy Harkness was lured into Medusa’s service under false pretenses. A loner with no one and nothing to cling to, he was willing to die for his cause. But the night Medusa tried to obliterate Los Angeles, Jeremy met Nick Jameson, triggering the onset of his own psychic gifts. For Jeremy is the third race of metahuman, a Sentinel, born to kill the Nightwalkers with no quarter asked or offered. And neither Medusa nor the Court of Shadows will settle for peace when they can make war. My current science fiction series, The Interscission Project, is an ongoing space opera/time travel/gay romance. The first book is Zenith, available now from most online distributors. A free introductory short story, Nadir (Book Zero), is also available. The next book, Declination, is scheduled to be out in late 2014. 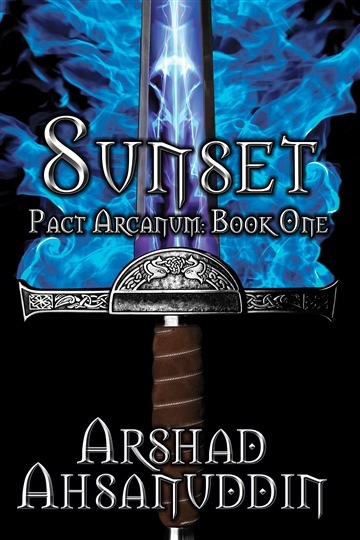 My previous fantasy series, The Pact Arcanum Saga, consists of five books: Sunset, Cathedral of the Sky, Sunrise, Moonlight, and Starlight. It is best described as non-explicit, gay vampire space opera/paranormal romance, and is also available from most online distributors. An ongoing graphical adaptation of Pact Arcanum is in progress on the Pact Arcanum website.